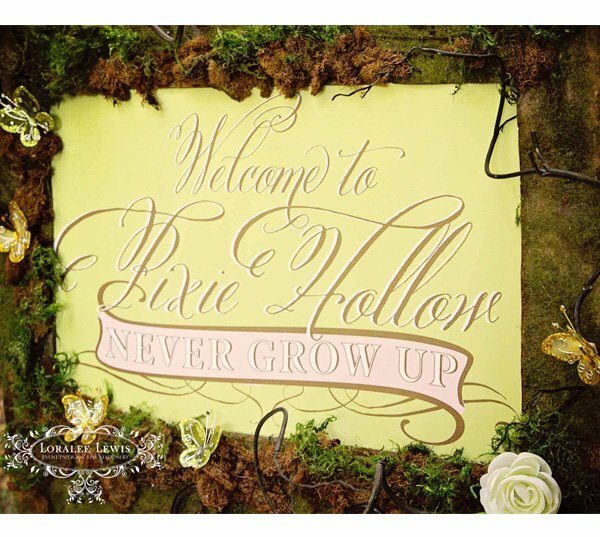 "Welcome to Pixie Hollow ~ Never Grow Up"
This 11" x 14" sign is printed on quality 110 lb. heavy stock. Perfect for your special event and as room décor.